Voters must bring at least one piece of picture identitfication to the polling station when casting a ballot. This could include a student card, drivers license, passport, BC ID, Medical Card etc. The following members have been nominated for election to the 2015/2016 TRUSU Board of Directors. Click on the candidate name for a biography and links to their contact and/or social media. I am currently a member of the Intercultural Council and a International Social Media Ambassador here at TRU . In addition I often work with UN clusters back in my home country, Mali, and I have been a youth representative for the government during changes and implementations of certain laws. I was also Vice-President of the Student Council at my high school during my junior year. I have been in numerous leadership positions and i have taught leadership in non-developved areas in my home country, I believe that this would be useful to my position as i can bring in a new perspective. As a social media ambassador we have to be able to represent every culture present in TRU, as well as being skilled in marketing promoting and well versed in social we have had professional development courses and i believe i could bring to good use as President of TRUSU (if elected). Melissa Gordon, otherwise known as Gordo, is a 3rd Year English and Political Science Student at Thompson Rivers University, and is seeking election of President on the Thompson Rivers University Students’‚ Union Board of Directors for the 2015/16-year! Melissa’s passion for advocating on behalf of all constituencies on campus has only grown with her experience as the TRU Students’ Union Vice President Internal for the 2014/15-year. With her positive, go-getter personality, Melissa has what it takes to be an excellent and extremely proud – President of the Students’ Union. Her experience includes 2 years as a Student Representative through the Student Caucus, Presidency of the TRUSU ECO Club of the 2013/14-year, as well as an abundance of experience coordinating events through the Students’ Union Equity, and Entertainment Committee. Her involvement does not stop there, Melissa is also currently representing the student body on the Strategic Enrolment Management Steering Committee and Retention Advisory Committee to work towards a consistent, and dependable academic advising process for students’ throughout all faculties on campus. Improving the Academic Advising process is only one aspect that her team, Your Vote = Your Voice, will be working towards if elected. Your Vote = Your Voice will also be advocating for a more equitable, and sustainable University through building campus community, and lobbying for tuition-free Adult Basic Education, also known as UPREP, which is a significant stepping stone for accessing post-secondary education for a lot of students’ at Thompson Rivers University. Along with these tasks, Melissa is also determined to include International Students on the Health and Dental Program to ensure that all students’ have access to the services that they deserve. Melissa knows the amount of work that is required to make a difference, and will go the extra mile in order to ensure that members’ needs are being met. She is extremely excited to be seeking election of President on the Students’ Union Board of Directors for the 2015/16-year, and is very proud to be running with the diverse and representative slate – Your Vote = Your Voice! My name is Jordan Robinson from Cold Lake Alberta and I am currently a third year Bachelor of Science student with an Honours in Biology. I am currently an aboriginal student mentor, a part of the eco club, volunteer regularly at the Salvation army and am in the middle of a social sustainability campaign at school. I also have extensive experience in chemistry, physics and business. My experience in the sciences has allowed me to use the power of experimentation, logic and reasoning to run my own life and has propelled me forward as an honest and genuine individual. This has made me aware that there are always exceptions to the rules and special circumstances to be considered. My business experience stems from working summers in various construction trades and eventually running my own construction company in Alberta. Business has bestowed upon me extensive practical knowledge about the value of assets and the cost of liabilities. From my experience in business I have gained an appreciation for the value of people and would not be nearly as successful in my business were it not for the special consideration of the people I was working with and their circumstance. This consideration came from taking the time to understand where they were coming from and how we could work together to make the contracts mutually beneficial by planning out our time wisely, measuring twice, cutting once and taking full responsibility for our actions. If I am elected as TRUSU president I would like to apply the sound logic of science, embrace local business and take full responsibility for any of the actions I take as acting representative of the students. My name is Christopher Herbert, I am a third year bachelor of arts student majoring in Sociology and History. I have extensive knowledge and experience managing projects and working with people to complete tasks efficiently. As I young child I became inspired by political and environmental activists such as David Suzuki, and Laurie Holden. Such people motivated me to participate in activism of my own. This includes a nation wide movement against tuition costs and student debt, this march. If I am elected Vice-President External, I will apply my activist oriented spirit to my duties and will thrive to create positive changes for the students I will represent. Not only is Thompson Rivers University a place of extensive knowledge, but a place of exploitation. I will use my position in the student union to advocate the end of some of these exploitations, as well as fulfilling my obligations that come with the VP External posting. I would like to extend my gratitude for viewing my biography, and will be grateful for the opportunity to represent you on the student union. I’m a Sociology student and currently a Study Abroad Ambassador, a member of the TRU Intercultural Council, and a research assistant here at TRU. As a Study Abroad Ambassador, my job is to promote the study abroad program at TRU and support students who are going to study abroad. I’ve helped plan and facilitate events for the program, create promotional materials such as blog posts and pamphlets, and provide mentoring for students. With the Intercultural Council I plan events on campus that have an intercultural focus and aim to unite the student body; all council members have also undergone professional training to gain intercultural competency. In the past I’ve also been a member at large for the TRUSU Equity Committee, a Student Representative for the TRU Alumni & Friends Committee, a member of Fair Trade Kamloops, and completed the Leadership program at TRU. I’m very passionate about making TRU a more equitable and inclusive place for all students. Amber Storvold is a fourth year Bachelor of Arts Psychology major, pleased to announce that she is running for the position of Vice President External of the Thompson Rivers Students’ Union. She is passionate about improving all aspects of life on campus from academic resources to a supportive campus community and recognizes the importance of student involvement in making successful changes at TRU. Amber currently serves as a member at large for the entertainment committee of TRUSU and has played a role in several events on campus such as the Tunes Against Tuition Fees Concert and the Common Voices Lecture Series, which directly relate to student advocacy. She is also member of the TRU Psychology Club. Through her involvement at TRU, Amber knows that it is incredibly important for all students to have a productive and engaging experience while at school, and that they are able to have a say in the positive changes that go on. With YOUR VOTE = YOUR VOICE Amber is determined to increase student involvement and together they will work towards improving academic advising, keeping adult basic education tuition-free, introducing international students onto the health and dental plan, and building a stronger, more inclusive, campus community. As indicated, my name is Mwansa. I am from a southern African country called Zambia. From a tender age I started to travel to many countries which in tern helped me learn to understand different cultures which I still exhibit to date . Which helped me converse in 3 different languages which include English, Bemba(Native Zambian Language) and French(Conversational Proficiency ). Collaboration and the essence attaining of knowledge have been a key components for me. These concepts helped me in successfully completing two different high school Systems,which include ;IGCSE(International General Certificate of Secondary Education) and IB(International Baccalaureate) Diploma program. My keen interest for Finance and helping people led me to work with numerous organisations less privileged areas within Africa, and also helped me attain an internship in the Global Markets Department of Standard Charted Bank( FTSE 100 Company) in Lusaka, Zambia. Ryan has had a successful first year as the Vice President of Finance for the Thompson Rivers University Students’ Union. He has been able to secure many local business to support the Studentsaver discount program. Some of the businesses include Simply Computing, Budget Brake and Muffler and Spoke Bike & Ski. Ryan is committed to increasing the quality of services that the Students’ Union offers to its members through various ways including increasing Studentsaver discounts as well as reviewing the functionality of the Union’s online services. His ability to multitask has allowed him to participate in different Student Union committees such as the Policy Committee, the Services Committee, the Student Caucus, and the Student Caucus Steering Committee. Ryan has also been appointed to serve on institutional committees such as the First Nations and Aboriginal Affairs Committee, the Provost’s Advisory Committee on the Centre for Student Engagement and Learning Innovation, and most recently, the Search Committee for the Associate Vice President Strategic Enrolment and University Registrar. Through all of these committees, Ryan has been able to ensure that the voices of students have been heard at all levels of the university. Meshari Alanazi is a fourth year Bachelor of business majoring in Marketing he is from Saudi Arabia, looking to become the Vice President Internal in the Thompson Rivers University Student‚Äôs Union.he has worked in student‚Äôs union as Director at large also as an international student’s Rep, and he is very passionate about serving others, as well as addressing the major issues and concerns that affect the International student body and other students issues as he is working in some of them. He is actively involved in several school activities and, he has worked as Student Representative in CUEF committee, entertainment committee, services Committees and Equity committee, and also he has valuable experience and knowledge that he wishes to use to advocate for all Students of the Thompson Rivers University, he will also be running with ” Your Vote = Your Voice ” slate as they are extremely representatives of the students on campus, and He is very proud to run along with them in the 2015 election! I am a second year sports and events student. I have helped with various on and off campus activities, from MOSAIC Fashion Show to BC summer games. I have volunteered for different orientations, students engagement activities and international days performances. I have a good understanding on event planning and making sure it goes through successfully. Weytk, Sonya Lil’ Fawn Charley ren skwekst. Tsq’escen Nation. Hello, my name is Sonya Lil’ Fawn Charley is from, “People of the Broken Rock” and is also known as Canim Lake Shuswap Nation. I have been brought up with traditional lifestyle and taken pride in maintaining my perseverance of my: education, culture, and all I has accomplished while attending TRU. I am currently in the Bachelor of Arts with a major in Sociology and Anthropology as a third year student. I am drawn to Aboriginal Awareness Week and National Aboriginal Day as they are intriguing and inspiring to attend events whether it volunteering such as, TRU powwow and stickgames as well as arts and craft displays, which can be located on or off campus. The Philosophy I live and work by is exhibited as a strong drive and determination as a Positive Role-Model who Respects others, Encourages, Cares, and has an Open-Mind. This was exhibited through dancing, stick games, continued education, and a desire to learn more about the world around me. This drive is constant and in all areas of my life ‚Äìfrom inspiring and collaborating with others and proud of our Aboriginal culture, to self-employment initiatives, as well as career development, which continually enhances throughout my life. I am a first year university student studying Bachelor of Science at TRU. I graduated Norkam in the first cohort of the International Baccalaureate diploma program. I am a domestic student born and raised in Kamloops, BC. I have metis lineage which qualifies me to apply for the position of Aboriginal Representative. Rami Alzahrani is a graduate student in the Master of Business Administration program from Saudi Arabia. He is excited to be running for the Students’ Union election as the Graduate Students’ Representative. Rami is very interested in serving other students at Thompson Rivers University and helping graduate students in specific to accomplish their program with the highest level of satisfaction and the best studying environment on campus. Rami is passionate about advocacy and as graduate programs are relatively new on campus, he believes there is a need to increase support services to enhance the graduate experience at Thompson Rivers University. By working alongside members of “YOUR VOTE = YOUR VOICE” Rami hopes to promote the needs of graduate students and campaign for an affordable education for all students. After seven years of a successful career in Russia and six months into the M.Ed. at TRU, I can look back and reflect on experience. My journey has begun in Moscow ‚Äì the capital of Russia where I was born into the family of a schoolteacher and a police colonel. I graduated from Moscow University of Economics Management and Law in 2009 with majors in Marketing and HR. While I was still as student I pursued a career in Sales and Marketing in the car retailer business. In 2012 I moved into the position of the head sales trainer at Suzuki Motors, where I launched and developed new training courses for the salesmen from Russian and CIS. To achieve this I conducted market research, developed sales‚Äô standards as well as planned training programs for dealers. I have been blessed with a great opportunity to grow professionally while doing what I love and to travel the world while being young. By my 26th birthday I have visited over 25 countries and met people with various backgrounds. This experience made me more culturally aware as well as shaped my views and long-terms goals, in particular the decision to come to Canada. Combining formal and informal education, including travel experiences helped me to create a more holistic view on the world and provided the ground for inquiry, curiosity and empathy. Hence, I believe the intercultural awareness starts not only with globalization and multiculturalism but also with the desire to understand and to be involved. s venturous and daredevil attitude has brought an urge in him of forming a Motorsports club in TRU. He believes that such a club would help students to explore themselves in this sphere and also socialize in an interesting way. His analytical, logical and good problem solving skills would benefit students to strive for better social and cultural adjustments. He believes in transforming TRU to a self sustaining campus by proposing department stores , buffet lunch and dinner facilities , vending machines at close proximity ,etc. Prateek seeks your support to unite students from distinct cultural backgrounds and work towards building your personality with a campus experience that has an edge to it. Dasha is currently a first year student on Post-Graduate program in Business at TRU. She was born and raised in traditional household in Olga, Maritime Territory. Her parents are farmers who dedicate their life to raise their kids: Dasha and her younger sister as responsible and honest-minded persons. Dasha attended Olga High School where she tried to make the most of her time and participate in as much students activities and programs as possible. She was a member of student’s dancing team. Dasha represented her school on most of province dancing shows. Also during summers she volunteered as a librarian assistant in the Community Library. In 2006 she started Tourism and Hospitality Bachelor Program in Far East Federal University. While studying Dasha was an active member of the University Student Union in charge of University events organization and conducting. While at University Dasha started working as an education abroad advisor and has worked with students and schools all over the world for about 4 years total. She has dedicated her time finding best programs and schools around the globe for each individual student who had a dream to go study abroad. In her spare time Dasha enjoys spending time with her family and friends. She also loves skiing in Sun Peaks Resort for the winter season and scuba-diving during summer. fe, it is the one thing that can never be taken away from someone regardless of the situation. Currently I am heavily involved in residence life which exposes me to a lot of problems that students from all over the world face. This experience has encouraged me to devote myself into helping student’s life become easier. It has become my goal to represent the students needs to the board which is why I am running for the international student representative of the TRUSU board of directors. Prymak Bogdana, who usually goes by Dana, is pleased to announce that this year is special for her as she is running for International Students’ Representative alongside the fantastic Your Vote=Your Voice slate. Currently she is in the Arts program, majoring in Political Science and Economics, which makes her feel passion about student advocacy and student interests in the academic environment. This year she is involved with Student Caucus, being on the Research Senate Committee, where she works for organizing Undergraduate Research Conference and encouraging students to participate in UREAP program. She was selected by Student Caucus to be a part of Student Caucus Steering Committee, where she along with other members of the committee put her hardest efforts on Student Course Evaluation implementation in the next fall. She also actively works with Centre of Student Engagement and Learning Innovation and TRU World, as a representer of advisory committee in the Centre. She does interviews and surveys for the international students in order to find the sense of comfortable learning for everyone and share their unforgettable learning experience. As the international student, she understands all the difficulties, which students face and go through during studying abroad. That is why one of the main tasks of Your Vote=Your Voice slate are presenting the health and dental plan to international students, improving academic advising, and making adult basic education, which includes EASL courses, available for everyone. Dana is eager to diverse, encourage and support the students community on campus. Julian Simpson is a third year Bachelor of Arts student, focusing mainly on Psychology and English. He is running for LGBTQ Representative for TRUSU for the academic year of 2015/2016. Julian is an active member of the LGBTQ community, both on campus and off campus, leading multiple major roles in TRUSU Pride and Kamloops Pride (Formerly Kamloops GALA) and a few smaller LGBTQ groups and collectives in Kamloops, as well as acting as a community mentor for the city run Safe Spaces. Julian is a huge advocate for gender equality and health. He is running in the slate of YOUR VOTE = YOUR VOICE, and with this slate, plans on improving academic advising, keeping adult basic education tuition-free, introducing international students onto the health and dental plan, and building a stronger, more inclusive, campus community. With YOUR VOTE = YOUR VOICE, he hopes to improve student participation and create a healthier, happier community for all students at Thompson Rivers University. Julian has high hopes for a more happy and healthy campus come the new academic year, as do his fellow slate members. Paige Bernard is excited to announce that she is running for re-election as the women’s representative of the students’ union, alongside the slate Your Vote = Your Voice. Paige is a mother of three and a third year art student that is working toward entering the bachelor of social work program at TRU. If re-elected, Paige plans to continue combating gender issues on campus and promote a safe and inclusive campus community for all members of TRU. As a member of Your Vote = Your Voice, Paige will be fighting to keep adult basic education tuition-free and adding international students to the health and dental plan. Abdullah Aloshaiwan is a 2nd year international business student from Saudi Arabia. He is looking to fill the position of Director at Large in acquaintance with Your Vote = Your Voice. He feels strongly about advocating for all students rights, including: lower tuition costs, improving academic advising, health and dental for international students and promoting more multicultural events. Abdullah has volunteered at many student events at his previous school in Saudi Arabia and looks forward to the opportunity to get more involved at TRU. He appreciates this great experience and cannot wait to move forward with TRU this year! -2nd year Bachelor of Arts student with majoring in Sociology and Political science/Economics. -Through my various volunteer works, I am involved in the Kamloops community as well as the TRU community. – I am a domestic student, but just as well very involved with TRU international community. As a result I know what the domestic students want, and I know what the international students want. Noel braganza is a second year Post-Baccalaureate student majoring in Human Resource. Having completed his Masters in commerce and worked in JP Morgan Chase Finance for 3 years, he decided to move to TRU in January 2014 to complete Post Baccalaureate studies in Finance and Human Resource Management. Noel is an active volunteer with the student’s union and is very passionate about serving students. Noel is excited to be running for 1 of the 4 director at large positions along with “Your Vote = Your Voice” slate. Being an international student Noel is familiar with issues faced by students on campus. “YOUR VOTE = YOUR VOICE” as a team are dedicated to help students and show similar enthusiasm like him. He is proud to be a part of such an amazing diverse and multicultural team. Noel hopes that students on campus have a wonderful experience, both in and outside the classroom. Hello. My name is Alex Hanna and I am a second-year mathematics student at TRU.  This is my first election with TRUSU and I hope to be elected to the director-at-large position. I am part of the TRU Synergy slate. In my experiences at TRU I have switched around 4 different programs trying to find what I like; I know many faculties and how they relate and differ from one another, and my courses have put me in each building around campus. I hope that I can use this election to better my self and the university in the best interest of the community so that I can gain experience for future endeavors. Hope leads a life driven by her creative passions. She is currently enrolled in the Events and Conventions Management Diploma at Thompson Rivers University where she is simultaneously working towards a Bachelor of Tourism Management Degree. In the past, she has served terms as a Board Director and Vice President for the Kamloops Arts Council, a local non profit organization that supports emerging and professional artists, as well as the Kamloops Graffiti Task Force Society, a society dedicated to the prevention and education of graffiti use in the Kamloops area. This past year she was the Secretary for the TRUSU Club Professional Convention Management Association, where she assisted in the recruitment and upkeep of all members and their PCMA-TRU related files, as well as taking accurate and professional minutes at each general meeting and executive meeting. Hope is passionate about event management and loves to try new things. Hello, I am a student currently taking a degree in Natural Resource Science. I’ve worked on a number of projects throughout TRU and the surrounding community, and am happy to be involved with the Students Union campaigning. I’ve worked in a variety of fields including trades, sales, and recently have been involved with on-campus research. Outside of school you can find me hiking, swimming, painting, skiing, or horse-back riding. I am excited to be a part of this election, and to make an impact! Eric Rankin is a second year B.A student who will be majoring in sociology and minoring in management. He is running for one of four Director At Large positions, alongside the incredible Your Vote = Your Voice slate. As a slate they will be working on important platforms such as improving academic advising, keeping adult basic education tuition-free, introducing international students onto the health and dental plan, and building a stronger campus community. Eric is involved within many areas of campus including running Humans of TRU, volunteering with Enactus TRU, freelancing for TRU Marketing and Communications, and being an Assistant Director for the TRU LipDub. Eric is passionate about seeing growth at TRU, academically, socially, and culturally. By encouraging all students to get involved in campus initiatives and taking part in campus events, Eric hopes to ensure all students have a positive university experience, in- and outside the classroom. I am a second year Events and Conventions Management student who is running for reelection as Director At Large. Prior to working towards my diploma, I received my Bachelor of Journalism. I am proudly running alongside the other members of YOUR VOTE = YOUR VOICE, who as a slate will work on important platforms such as improving academic advising, keeping adult basic education tuition-free, introducing international students onto the health and dental plan, and building a stronger, more inclusive, campus community. Along with my involvement in the Students’ Union, I am also co-president of the TRUSU Marketing Club, work in the Centre for Student Engagement and Learning Innovation, and have had a part in several on campus events, such as the Mosaic Fashion Show. I hope to continue the work I started this past term on the Students’ Union and also hope to create university experiences worth remembering! I have a Bachelor of Business Administration Degree and am currently pursuing my Post-Baccalaureate Diploma in Marketing here at TRU. I like getting involved with social causes such as the Heart and Stroke Foundation. I am currently a member of the Intercultural Council here at TRU, where we learn about various cultures around the world and try to understand the differences and similarities between one another. By doing so, we try to incorporate what we learned and spread that understanding among students within TRU. I am a volunteer with ISAP and help in making sure that students get the best out of their stay here in Kamloops by getting them involved in activities such as camping, salmon watching, tubing and many more fun filled activities throughout the year. Born here in beautiful Kamloops, BC and a graduate of South Kamloops Secondary, I’m currently enrolled in the Journalism program. I have always wanted to help people and I believe that the Student Union is one of the best places to do just that, by giving people services such as health and dental plans that they might otherwise may not be able to afford. I have a fair bit of experience working for various organisations in the community. These organisations include the British Columbia Sustainable Energy Association where I help organize events and lobby government officials to pursue more environmentally friendly policies. I will use the skills I have learned from working with these various organisations to help improve the campus and overall quality of life for all TRU students.